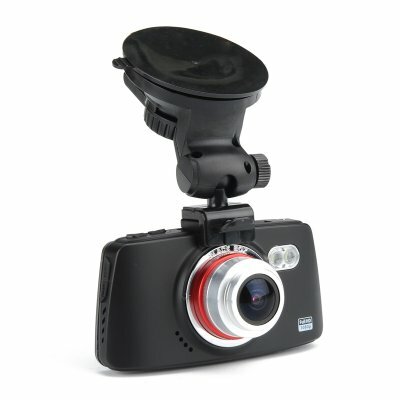 Successfully Added Full HD Car DVR - 170 Degree Lens, 2.7 Inch Screen, Motion Detection, G-Sensor to your Shopping Cart. Millions of users turn to car DVRs for protection against false accusations and high insurance claims following an unfortunate accident or vandalism and with this HD car Black-box you can enjoy a high level of protection that could lower your insurance premiums and in many cases will deter would be vandals or malicious insurance claimants. Continuously recording all the incidents outside your cars windscreen this full HD car DVR works as a black-box for your car. By monitoring the road ahead and capturing all the details in 1080p resolution it ensures you won't miss any important details and preserves the facts of any road disputes. You can also replay your recordings on the cameras 2.7 inch screen so many incidents can be settled at the side of the road. With a 170 degree lens you can capture a huge field of view covering the entire road so nothing will take this camera by surprise and it can capture any dangerous antics such as divers cutting you up. The G-sensor can be adjusted to suit your needs so it wound needlessly trigger when you go over every speed bump or pot hole, but will be sure to lock down any crucial recording should you need. The micros SD card slot with 32GB support ensures you won't run out of storage space any time soon. With auto white balance and adjustable exposure ratings this car DVR ensures great recordings in bright sunlight, overcast rainy days and even at night. This Full HD Car DVR comes with a 12 months warranty. Brought to you by the leader in electronic devices as well as wholesale car DVRs and accessories..